I blame HGTV for most of the design abnormalities that I see on a day to day basis. On television, under the direction of some handsome psuedo-contractor, purple walls and gold faucets might look somewhat acceptable. They might even look nice. But in the real world, in this life we live, purple and gold should be reserved for Minnesota Vikings fans. If you’re building a new house, or remodeling an old one, and you love purple and gold, this is your right. It is, after all, still a quasi-sort-of-free country. If you wish to live in purple and gold, live that way. But, when you live that way, please don’t wish to sell your house. For the rest of us, those of us who move with some frequency and have concern as to the value of our homes, there are some nice rules to live by. A car dealer once told me there are only three colors of car to buy. White, Black, Red. With that in mind, there are certain things to do to a house that will always work to increase your value. There’s a caveat to this post, and that is that the homes I’m talking about now are entry level lakefront homes and off water lake access homes. In other words, if a home is $1.5MM or so, do these things and make money. If the home is $4.5MM, you’re going to want to ignore most of this post. As an aside, if you’re building a big fancy home and you’d like my opinion as to whether or not you’re making a catastrophic mistake, I am happy to look at plans and selections and offer up my opinion. Flooring. This should always, every time, be wood. Oak, to be exact. Standard width, regular white or red oak. Stain it dark and it’s done. Random width gets expensive. Other woods get expensive. Go oak, stain dark, be done. Do not, however, install pre-finished wood floors. No laminates, no matter how fancy they are or how long the warranty is. 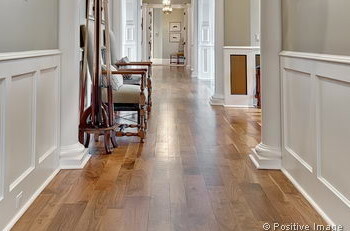 Put down a real wood floor, have it finished like a real wood floor, and you’ll be happy. A real wood floor laid this way makes a home feel substantial, and it strengthens iffy floor joists that are prevelent in old cottages here. No more laminate, no more pre-finished, no more engineered wood. Just don’t do it. When you put down the floor, put it everywhere. Upstairs, main level, everywhere. Small houses need consistent flooring, so put wood on all the floors and you’ll instantly upgrade the way your house looks, feels, lives. Cabinets. Don’t do expensive cabinets. Woodmode is necessary in expensive lakefront houses, but in regular houses Kraftmaid is just as good. Save money on cabinets, because in the sub $1.5MM price range buyers expect real wood, (no thermofoil) and smooth, self closing doors, but that’s it. Save money here, because $50k in kitchen cabinets in a $500k lake access home spells you losing money, every single time. Appliances. Go bold here. A Viking stove might be $5k. Someotherbrand Stainless stove might be $2500. Spend the extra money and you’ll be rewarded. My secret to remodeling homes for profit is to give a buyer something they don’t expect. A $500k lake access home buyer doesn’t expect a Viking range, so give them one. Counters. When it doubt, marble. Yes, they wear horribly. Yes, the ones in my house are stained a bit. Yes, I yell at guests when they set anything on the counters. But, marble looks good, it looks right, and it’s at home in lake houses. Use it, love it, yell at guests when they set a pop can on them. Tile in bathrooms. Marble, again. But in this there is tact. Marble from a fancy store can be prohibitively expensive. Don’t use that marble. Marble from Home Depot or similar might be five bucks a square foot. A marble shower is a beautiful thing, but in this price range no one cares about your herring bone pattern, or your fancy ceiling pattern. That’s why you put the marble in, lay it straight and simple, and when you’re done it’ll look beautiful, expensive. But it won’t be expensive, because you bought it at a big box store and a guy with a rusty truck installed it. Trim. Walnut trim is expensive. In a lakefront house, I’d like the office that no one will ever use to be walnut paneled. In your lake access house? White painted everything. Think simple but big. Like an offensive lineman. Large trim with a complicated profile is expensive. Large trim with a simple profile is cheap. Use this. Caulk everything, then spray it white. You don’t be disapointed with the look, assuming you’re trying to actually make money on this remodel. Fireplaces. If you’re building new, add fireplaces. Multiple fireplaces. Everyone expects a fireplace in the living room, so put one there. But a dining room fireplace, or a master bedroom fireplace, or a den fireplace? Pure luxury. Masonry fireplaces can run $30k each, and if you’re building a giant lakefront house, you better give me many of these masonry units. But sub $1.5MM houses can use radiant units that might run $5k each, so use a few of these. If you’re remodeling a lake house that doesn’t have a fireplace, add one or two and thank me later. Light fixtures. These can’t be cheap but they can’t be expensive. If you’re buying a $3000 chandelier for a home in this price range, you’d do better to light a pile of $20s on fire in your driveway, because at least then you can roast marshmallows. Light fixtures from Restoration Hardware are always good enough, so use them. That’s enough detail to form a nice baseline for any build or remodel here. One mistake to avoid is to remodel some things and not the others. There was a lakefront sale recently that featured an old house with three sparkly new bathrooms. The kitchen was old. The flooring was carpet. Had the owner of that home remodeled the kitchen and installed hardwood throughout, it might have sold more quickly and for more money. If you’re remodeling an old condo and you put in new floors and you paint but you leave the cheap hollow core doors and the formica kitchen counters, don’t expect any buyers to care about the floors. Be consistent, be smart, and if you have any particular questions about a remodel you’re thinking about, then ask me.